While township developments have mushroomed in prime locations in the Kuala Lumpur city centre, the northern corridor of the Klang Valley is slowly catching up in development activities. Steadfast Realty principal Lee Wai Kong said the northern corridor had been quite remote previously but developments have started to pick up since the opening of Guthrie Corridor Expressway (GEC). The 25km-long GCE connects Bukit Jelutong in Shah Alam to Kuang, near Rawang, and complements the North-South Expressway and New Klang Valley Expressway. Lee believes that traffic on the highway would eventually pick up although it is quite slow at present. “There is no doubt that the GCE has brought positive effect around the area but new developments are not as rapid as developments in the Kuala Lumpur city centre,” he noted. Lee pointed out that property prices in these areas had also been going up steadily since the opening of GCE. “Locations closer to Petaling Jaya or Shah Alam can command a better pricing although rental yields are still relatively low. “Exclusive developments are a different story altogether. They could see better appreciation in value but not in yield. Therefore, locations like Rawang and Selayang might not seem so attractive,” he added. He said Rawang was just another suburb and the housing demand would be fuelled by locals. He said it would be tougher for Rawang to capture the spillover from Kuala Lumpur. “I think the development in Selayang will be much faster than in Rawang because of the connectivity. Selayang, which links to north Kuala Lumpur, can command better pricing as well,” he said. Meanwhile, Axis REIT Managers chief operating officer and executive director Stewart LaBrooy said land prices in Jelutong had been rising. 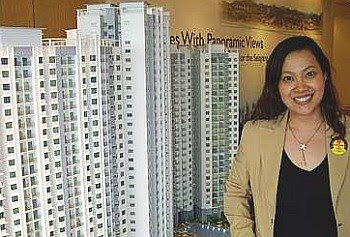 “Jelutong and Shah Alam have become more popular and generated a lot more interest today. A lot of new developments have started since the highway was opened,” he said. He pointed out that there was a time when people were saying Kota Damansara was far, but people did not mind the distance now as the infrastructure was in place. “The distances start to appear shorter, thanks to a reduction in travelling time,” he said, adding that Jelutong had good connectivity to the rest of the Klang Valley via major highways. LaBrooy said more people were moving away from KL. He said some property owners were “trading up” their current property. Some property owners sell their properties in KL at a high premium and buy a semi-detached or bigger property in the suburb. He agreed with Lee that Rawang was a “local play”. “Personally, Rawang is just Rawang. The property prices are increasing but at a slower rate,” he said. LaBrooy said Rawang did offer some good properties but some property buyers were “buying into the address” of the property. Buyers were willing to pay for a prestigious address, he added. He expected more activities in these areas, going forward, but hoped the new developments would not cause a property overhang. Ho Chin Soon Research Sdn Bhd director and master mapmaker Ho Chin Soon opined that the GCE was constructed in such a way that it benefited Sime Darby Property Bhd. “There is not much increase in property prices in this area but properties here will rise in tandem eventually with the Klang Valley,” he said. The growing attractiveness of the northern corridor of the Klang Valley has not gone unnoticed. More and more developers have bought land in these areas. Analysts said that the corridor, being strategically located at the confluence of major highways in the Klang Valley, had encouraged homebuyers to move there. “GCE brings about the development of Bukit Jelutong, Bukit Subang and neighbouring housing areas,” an analyst said, adding that the highway had also helped properties nearby to appreciate in value. An analyst with a local brokerage said property prices were moving up in the neighbouring areas of Kuala Lumpur and at the Sungai Buloh boundary. “With soaring property prices in prime areas like Damansara, it makes sense for people to invest in Sungai Buloh, which is bordering Damansara. 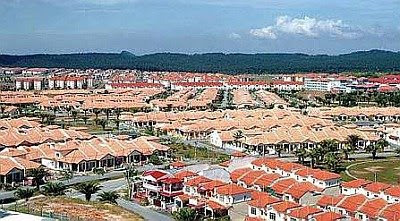 Therefore, newly developed properties in Sungai Buloh can be an option for investment,” he said. He added that property prices were expected to pick up eventually. Rawang, which is further north, was not exactly a development hotbed, said another analyst. He said that although the area had been growing at a steady pace, it was never a first priority for homebuyers. This is despite property prices there being cheaper. 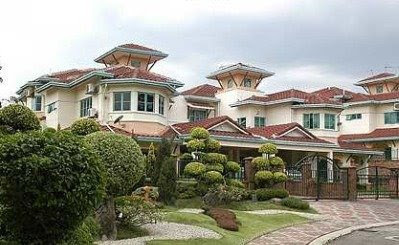 “A homebuyer could probably get a semi-detached house in Rawang at the price of a link house in Mont'Kiara,” he said. “Developments that are doing well due to their locations near a major highway include Setia Alam, Setia Eco-Park and Alam Perdana that are connected by the Setia-Meru Link, as well as Sierramas and Valencia, which are accessible via the Sungai Buloh Interchange,” an analyst said. He added that it was very important for any development to have a dedicated link to a highway so that residents would not need to travel far by going through another development. 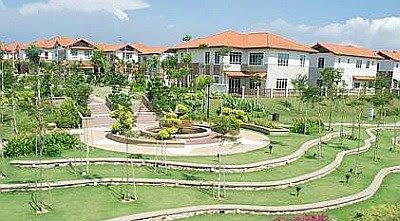 PROPERTY developer BSS Development Sdn Bhd, a subsidiary of Matrix Concepts Holdings Bhd, expects anchor investor International University College of Nursing (IUCN) to boost the economic development in its new township, Bandar Sri Sendayan in Seremban. Today, state government agency Menteri Besar Inc of Negeri Sembilan will sign a deal to sell 200 acres in Bandar Sri Sendayan to Run Education Sdn Bhd, the owner and manager of IUCN. Run Education will invest about RM200mil to build IUCN, Malaysia's first international nursing school. BSS, in a joint venture with Menteri Besar Inc of Negeri Sembilan, is developing the 5,235-acre Bandar Sri Sendayan, which has a gross development value of RM3bil. “We believe that the new IUCN campus will accelerate the growth of Bandar Sri Sendayan as well as stir up the local economic activities in Seremban,” Menteri Besar Inc of Negeri Sembilan chief executive officer Datuk Mohd Hasiah Mohd told StarBiz. He said Menteri Besar Inc is confident of attracting students from neighbouring countries, as IUCN would have a competitive advantage in terms of location, being only 20km from the KL International Airport. IUCN had a target of 60:40 ratio between international and local students, he added. BSS managing director Datuk Lee Tian Hock said IUCN expected the first intake of 5,000 students in September next year and hoped to accommodate 20,000 students by 2011. “We hope IUCN would attract foreign and local students to pursue nursing qualifications in Seremban as the cost of living is relatively lower than the Kuala Lumpur city centre,” he said. Located in the middle of Bandar Sri Sendayan, the IUCN campus would be developed in two phases and construction was scheduled to start next month, said Lee. According to him, Bandar Sri Sendayan is expected to have a population of 60,000 when it is fully developed in 15 years. Meanwhile, BSS and the Negri Sembilan state government agency are currently in talks with a foreign party to sell 1,000 acres for over US$1bil for an integrated tourism-related project. The deal was expected to be finalised next month, said Mohd Hasiah. SELANGOR Dredging Bhd (SDB), a high-end property developer, is on the lookout for opportunities to expand at home and in the region this year, its top official said. The group last year ventured into Singapore - its first and only overseas market so far - where it expects to fetch RM400 million in sales from the launch of two developments later in the year, managing director Teh Lip Kim said. "With regard to regional business activities, we will concentrate on this at the moment. However, we are open to venturing into other countries within the region, should the opportunity arise," she told Business Times in a recent interview. The group is not engaged in any discussions to buy land at the moment, she added. Besides property development, the main board-listed company is also involved in property management and leasing. It operates the Hotel Maya, a boutique hotel in the heart of Kuala Lumpur. "We hope to launch three developments this year - two in Singapore and one in Kuala Lumpur - with a total gross sales value of about RM550 million. This is an increase from last year, where we launched two developments, Ameera Residences in SS2 Petaling Jaya and 20Trees in Melawati," she said. These new projects are expected to contribute to the group's current fiscal year ending March 31 2009. In Singapore, the two projects it will launch are seven-storey condominium in Wilkey Road, just off the popular Orchard Road and 38-storey apartment near Newton Circus, just off Scotts Road. In Kuala Lumpur, it is launching a 10-storey apartment in Jalan Ampang. Last year, the group registered a fourfold increase in net profit to RM97.1 million. Teh is "cautiously optimistic" that it will continue to do well this year despite an increase in the cost of materials and the bearish global economic sentiment. 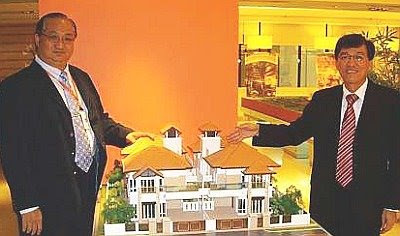 Recently, the group spent RM24.6 million to buy three parcels of beach-front land in Batu Feringgi, Penang - located between the Lone Pine and Casuarina hotels - where it plans to develop a "good, villa-type resort development" sometime in late 2009 or 2010, Teh said. SDB is also the developer of the controversial "Damansara 21" project in Damansara Heights, where it plans to build 21 luxury bungalows on a hillslope, which has drawn a lot of flak from nearby residents. Its other projects include Aman Sari in Puchong and Park Seven at Kuala Lumpur City Centre. Yeonzon Yeow, head of research at Kenanga Investment Bank, has a "buy" call on SDB's stock, saying the group's strength lies in its cutting-edge products and its good property management. While some view SDB as a small cap stock that doesn't perform as well as other property stocks, he said the developer was able to achieve strong sales with high benchmark prices. "Take the Ameera condominium, it is the most expensive condominium in SS2 and there was strong take-up," he remarked. He has a target price of RM1.84 on the stock, which suggests a 161 per cent upside from its last Friday's closing of 70.5 sen.
SELANGOR Dredging Bhd (SDB)'s plan to build 21 luxury bungalows in Damansara Heights hangs in the balance as nearby residents go all out to stop the hillside development, citing safety concerns. The project, known as Damansara 21 and with a gross development value of up to RM250 million, is not the group's biggest but it has been grabbing newspaper headlines of late because of protests by concerned residents. SDB's managing director Teh Lip Kim, however, says the protests are unfair as the group has taken pains to ensure that it has gone through all the necessary legal and regulatory processes. 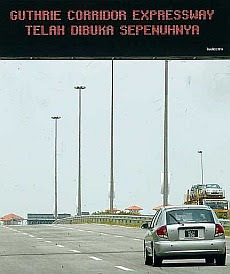 It has also committed to spending RM34 million on infrastructure work to strengthen the slope and increase safety. Despite going by all the rules, residents are still protesting, she said. "As a developer and an investor in the country, when all this is called into question, it really puts the investment sentiment of the country at risk," she said in an interview. SDB's subsidiary, SDB Properties Sdn Bhd, will this week apply to City Hall to lift a stop-work order that it was issued last month for failing to comply with certain safety standards, she said. It expects to have complied with all the safety standards by then, she said. The group has twice held dialogues with residents and is willing to address any other concerns on safety going forward as well, she said. Asked if she expects to be given the go-ahead from City Hall given the rising pressure from residents, she said: "The authorities are basically doing what's right, but somehow with all this pressure, they are feeling it. But, I think one has to review whether some of these pressures are reasonable or not. At the end day, the investment climate has to be there for the country to move forward," she said. She noted that SDB's is not an isolated case as there have also been other developers facing similar issues in the country. SDB had bought the 5.78 acres of land in Jalan Setia Bistari for RM50 million in 2005. Michael Yam, deputy president of Real Estate and Housing Developers' Association Malaysia said hill slope developments are common especially in countries such as Hong Kong. PUTRAJAYA Marriott Hotel plans to undergo a RM30 million renovation and refurbishment to win a bigger share of the meetings, incentives, conventions and exhibitions (MICE) market. It is a substantial investment because typically, hotel owners upgrade their hotels every 10 years. Marriott just turned six on May 15 this year. The one-and-a-half-year upgrade will cater to an anticipated influx of people with the development in Putrajaya as well as the upcoming shopping complex planned to be built next to the hotel, its general manager Yeow Hock Siew said. Yeow, who has helmed this five-star 488-room hotel for the past four years, said that in the past the hotel was busy trying to fill its rooms. "Over the past year, we have started to focus on the right segment, the MICE market. We have an area ideal for MICE," Yeow said. "We have progressed upwards since. For the fiscal year ended June 2007, we had an average occupancy of 40 per cent and an average room rate (ARR) of RM215. In June 2008, (we should finish) at an average occupancy of 58 per cent and an ARR of RM227," he added. He said that unlike city hotels, Marriott Putrajaya neither has a night entertainment nor a shopping zone, which poses a challenge. "For this year and next our focus will be on local and international businesses," Yeow said, adding that its target includes the Indian, Chinese and Indonesian market. To this end, it is adding on a RM15 million ballroom called the Garden Ballroom which is capable of accommodating 300 people for dinners and 600 people for meetings. This adds to its existing facility which allows for 2,300 guests in a standing cocktail and 1,500 for seating. Other planned upgrades includes the refurbishment of over 100 over rooms at RM75,000 per room, its restaurants and the inclusion of an exclusive VIP lounge. Not included in its current budget is the renovation and addition of villas to accommodate a Martha Tilaar Spa. With all these in place, Yeow expects that by June 2009, its average occupancy will improve to 65 per cent and ARR to touch RM240. Some 85 per cent of its guests are business travellers while the rest are leisure travellers. The hotel, built by the IOI group at RM200 million, currently enjoys a gross operating profit of 38 per cent. CHICAGO: Boston Properties Inc said on Saturday it reached a deal to buy the General Motors Building in Manhattan, along with three other buildings, from New York developer Harry Macklowe for about US$3.95 billion (RM12.68 billion). Boston Properties, which owns and operates office buildings, said it would acquire the properties through joint ventures with unidentified partners. The company said it would pay about US$1.47 billion (RM4.72 billion) in cash and US$10 million (RM32.10 million) of common units of limited partnership interest. The company also agreed to take on about US$2.47 billion (RM7.92 billion) in debt. The company said in a statement it would also buy three other New York properties: 540 Madison Avenue, 125 West 55th Street and Two Grand Central Tower. The GM Building is seen as one of the most successful real estate redevelopments and arguably the most coveted office building in Manhattan. Macklowe Properties bought the building, previously half-owned by Donald Trump, in 2003 for a then-record US$1.4 billion (RM4.49 billion). Macklowe turned the 50-storey structure into a hot property, luring hedge funds and private equity firms as tenants and commanding some of the highest rents - more than US$150 (RM481.50) per sq ft - in the US. Macklowe spent about US$7 billion (RM22.47 billion) last year for seven Manhattan buildings previously owned by Equity Office Properties Trust. He has since struggled to refinance those loans and has reached extension agreements with his chief lenders, Fortress Investment Group LLC and Deutsche Bank AG. Proceeds from the GM Building will be used to repay Macklowe's lenders. Last year, Deutsche Bank headed a group that provided US$5.8 billion (RM18.62 billion) in short-term loans for the buildings. Those loans and a US$1.2 billion (RM3.85 billion) equity loan from Fortress Investment were to be replaced by longer-term loans. But the tightening credit markets wiped out Macklowe's ability to secure new funding. In February, he defaulted on the loans. Macklowe's troubles became emblematic of those of large borrowers who relied on temporary financing to foot the bill for huge acquisitions, only to have the credit crunch crush plans. Borrowing terms have become less generous and more expensive. MALAYSIA Building Society Bhd, a housing loan provider, said its first quarter net profit quadrupled as it sets aside less money to cover potential bad loans. In addition, it made more in net interest income as well as from Islamic banking income. MBSB expects to remain profitable for the second quarter of fiscal 2008 that ends on December 31, it said in a statement to Bursa Malaysia. "The group will continue to focus on its core mortgage and related retail businesses whilst emphasising on fee-based income and corporate loans recovery," it said. MBSB made a net profit of RM19.6 million for the quarter to March 31 2008 against RM4.9 million in the same period a year ago. Revenue was up by a third to RM106.3 million. MBSB, a subsidiary of the Employees Provident Fund, has been in the limelight as it has lured interest from local and foreign suitors. In April, MBSB said a due diligence was being done on the group. It was responding to reports that said three Abu Dhabi government-linked companies are eyeing EPF's stake in MBSB. The reports also said that the main objective of the sale is to develop some of MBSB's strategic landbank without using EPF money. DEPARTMENT store operator Parkson Corp Sdn Bhd aims to open two to three new stores in Malaysia each year and an average of four new stores in Vietnam. This will add to the 34 Parkson outlets in Malaysia and five in Vietnam, that the retailer will have by end-2008. Investments into one Parkson in Malaysia is about RM15 million, while in Vietnam it's between US$3 million and US$4 million (RM9.63 million and RM12.84 million), half of which is borne by suppliers who fit their counters in the store. Parkson, a subsidiary of Parkson Holdings Bhd, also plans for a maiden venture into Cambodia in 2010. Its first store there will be in Phnom Penh and it plans to look for more sites to expand. Parkson's chief operating officer Toh Peng Koon said Parkson continued to see ample opportunities for growth in Malaysia, where the market is mature and the brand is well established. "There is still opportunity to grow in Malaysia, in places like Johor, Alor Star (Kedah), Taiping (Perak), Sabah and Sarawak and even within the Klang Valley like in Shah Alam," Toh told Business Times in an interview. A total of five new outlets were planned for 2008, three of which have begun operations - The Spring, Kuching, Parkson Melaka Mall and Parkson East Coast Mall, Kuantan. Two new openings will be the Parkson Bunga Raya Mall in Kuala Terengganu by end-July and Parkson KBTC (Kota Baru Trade Centre) by year-end. This will bring its total retail space in Malaysia to 3.5 million sq ft by the end of the year. New stores in 2009/2010 include KK Times Square in Sabah and Parkson on Jalan Genting Klang, a mall that will be owned and operated by the group. Parkson Malaysia makes up about a quarter of Parkson Holdings' gross sales. In Vietnam, where retail development is at its infancy, Parkson has the first mover advantage. It introduced the department store concept in Vietnam three years ago and enjoys a handsome level of growth each year. Parkson will add its fifth store in Ho Chi Minh City this July. Its first store was also opened here. "In Vietnam, our stores are enjoying very strong growth. Same store growth is about 30 per cent," he said. According to Toh, even prior to Parkson's opening in Hanoi last month, Parkson was quoted as the most popular brand there. Its four existing stores are located in Ho Chi Minh City, Hanoi and Hai Phong. Parkson has also entered into a joint venture to build a mall in Vietnam. The shopping centre, with a net floor area of 11,222 sq m, forms part of a property development project comprising a hotel and office blocks with a gross development value of US$88.9 million (RM285.37 million). The project is expected to be completed in 2011.